After a seemingly long, Okanagan winter, the buds on the vines, the additional hours of sunshine and the warmer temperatures signal that Spring has come to the Okanagan Valley. Winemakers are raising their glasses in salute to the new season and are ready to showcase their new varietals to the public. Annually, the Okanagan is treated to a myriad of wine-themed events put on by the Okanagan Wine Festivals Association that allows wineries throughout the region to showcase their wines to wine enthusiasts who come from all around the world for the spectacular events. For 19 years, the Okanagan Wine Festivals have been giving locals and tourists the opportunity to sample the local wines and familiarize themselves with the Okanagan wine industry. Through a variety of Signature Events partnering with the local wineries, the Okanagan Wine Festivals are well-attended and popular, featuring different events per season. The Spring Okanagan Wine Festival has gained in popularity over the last few years with the Best of Varietal Awards Reception and WestJet Wine Tasting 2-day event kicking off the 10-day celebration of more than 100 events throughout the valley. Featuring more than 180 wines including new releases, reds, whites and dessert wines, the WestJet Wine Tastings is the most popular event of the festival. Live music, delectable locally-sourced eats and plenty of samples are some of the reasons this event has made an impact. Specialized events over the course of the 10-days from May 2-12 are hosted throughout the valley and feature local fare, wine and entertainment. 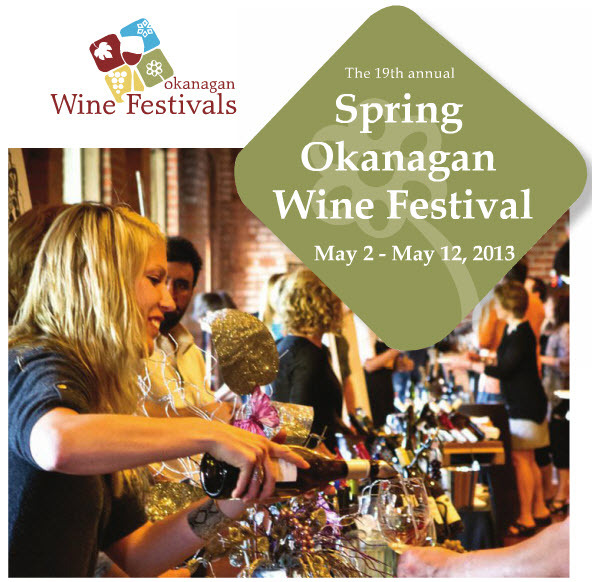 For wine enthusiasts, Okanagan locals, tourists, and those who are curious about the wine industry, the Spring Wine Festival is a great place to begin your adventures in all things wine! For more information and to purchase tickets to select events, visit the Okanagan Wine Festivals website. Excellent research, I just passed this distinct against a pristine colleague who was just doing rather examination in that. Plus they emphatically purchased me lunchtime because I ran transversely it regarding him grin Then tolerable, i’ll rephrase that: Thanks pertaining to lunch! Whenever you’ve an booming direction you’ve got a dihtotarscip. by Badger Azines Truman.